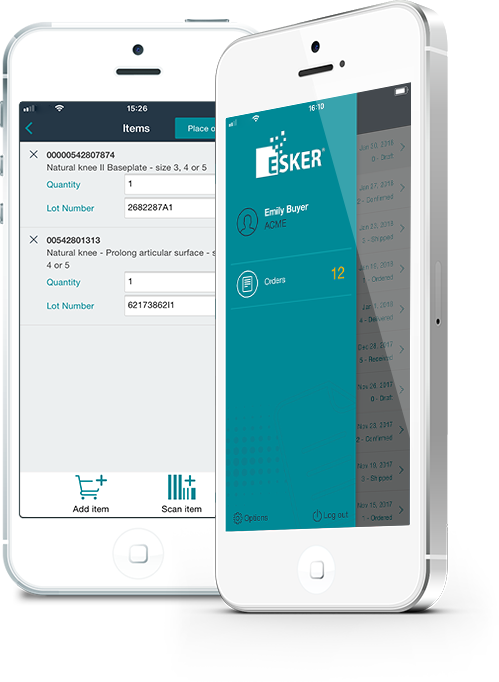 Esker Anywhere™ supports the sales order process by empowering sales reps and customers with mobile order placing and tracking capabilities for a variety of orders (e.g., replenishment, no-change, standard, etc.). Mobile users retrieve items from product catalog or scan a barcode. Product and lot number are automatically populated. Subsequent scans of the same barcode increase the quantity of order. From there, the order can be completed through the app. Your O2C and P2P business processes don’t stop while you’re away. 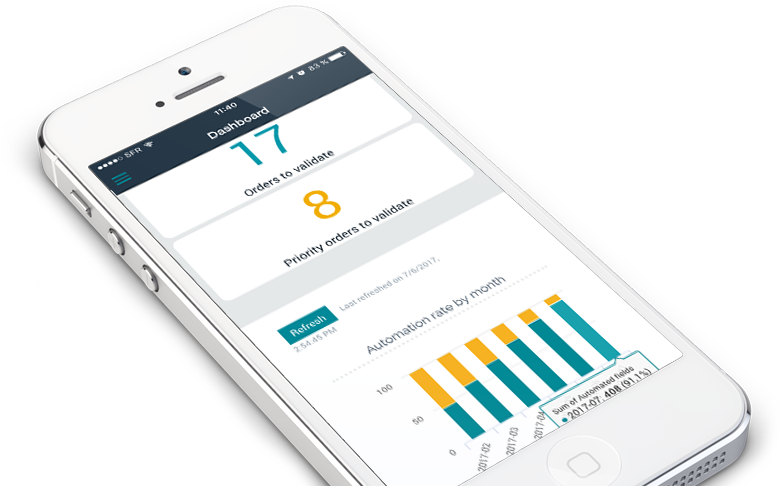 With Esker Anywhere™, business leaders can also access their most important metrics and KPIs all from the palm of their hand. Users always get the same level of information wherever they are. 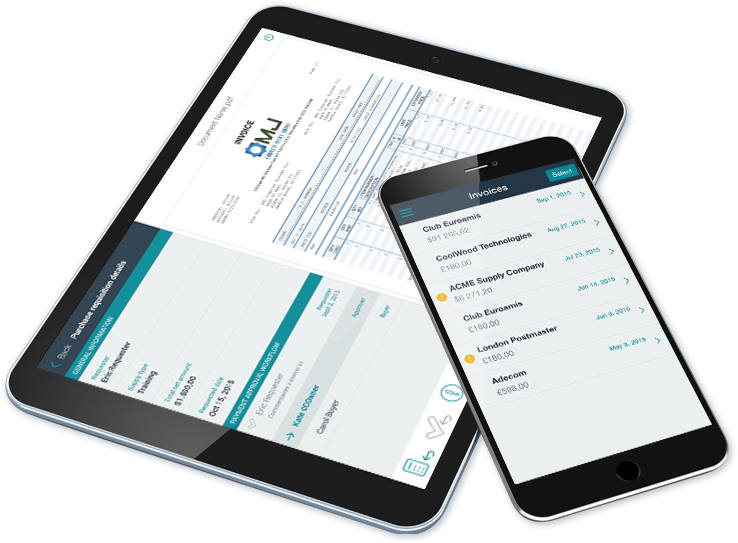 To use Esker Anywhere™, simply download and install the mobile device management solution on your Apple® or Android™ device. That's it — no hidden fees or complex sign-up procedures. Once installed, you can start managing O2C and P2P processes on the go right away! Questions about Esker Anywhere™? Ask away — we’re here to help.